Hard music, skulls, and nice wins, this is what you will experience while testing one of the latest slots available at SlotsUp. It is true House of Doom casino game can make your blood run cold due to its gloomy gothic atmosphere and the fitting imagery. On the other hand, this 5-reel, 10-payline Play’n Go release guarantees the unforgettable play with lots of bonus features and appealing top prizes. 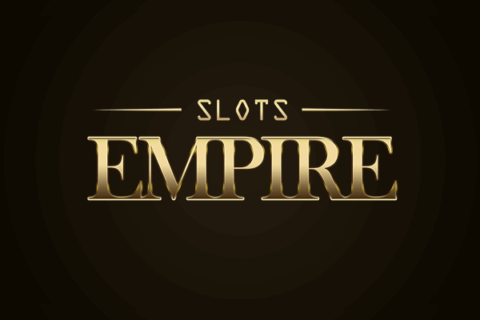 So, we invite our brave gamblers to read about this slot in more detail. 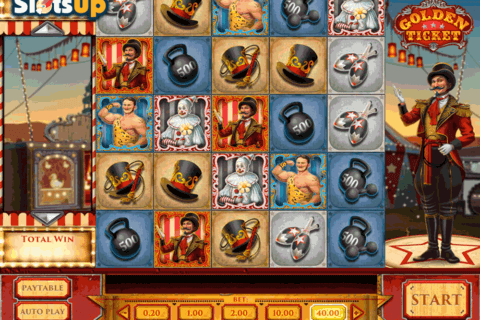 The variety of themes used for the slots creation is impressive. To satisfy players, who can’t imagine their gambling without some spooky and frightening releases, we offer lots of free video slots no downloads that recreate the desired dark atmosphere. 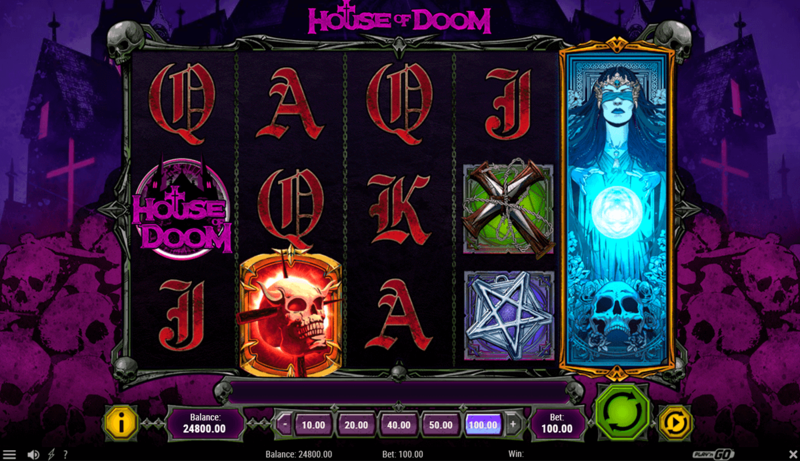 For example, Play’n Go team has done a great job while making House of Doom slot. The first outstanding feature is a high-quality design with cool animations. The dark church and heaps of skulls serve as the background image. A scary fortuneteller with the covered eyes is the central character of the game. But put your foreboding feeling aside as this woman promises some big prizes for courageous players. And let not goat skulls, crosses, stars, and thorny roses frighten you. They are just the game symbols together with A to 10 playing card icons. Our fortuneteller acts as Wild and pays 150 credits for 5 on a payline. All this gothic setting looks wonderful not only on big desktop screens but also on your smartphones and tablets. So, you can easily find the slot among online slot games for mobile devices and benefit from a horror- and prize-filled gambling. These are not titles of horror movies but the names of bonus feature available in House of Doom online slot. If you don’t mind against visiting a few dark places to grab nice prizes, then spin the reels and benefit from your devil’s luck. The first Hellgate feature is the random bonus active during each spin. You will see this is it when 1 of 5 reels becomes highlighted. Moreover, if a Wild lands on a highlighted reel, it will expand to increase your winning potential even more. But Hellgate is just the start of the horrifyingly generous features. Play’n Go free online slots fans can find here. There are two more extras activated by special symbols. 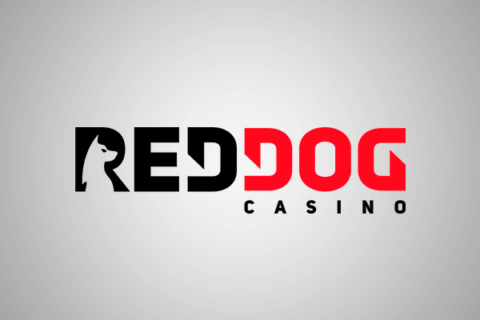 The Doo, Spins feature is the free spins bonus triggered by 3+ Game Logo Scatters. The prize is 10 free spins with Scatters acting as Wilds together with the regular Fortuneteller Wild symbols. What is more important, each combo of at least 3 Logo Scatters will be giving one free spin for a symbol. Thus, casino players’ chances to win more bonus spins are very big. Remember the Hellgate feature? It is also active during the Doom Spins but this time not 1 but from 2 to 5 reels are highlighted with Wilds and Scatter Wilds expanding on them. The last bonus is the atmospheric (read frightening) pick-me game called Skulls of Abyss. The combo of 3 Red Skull Scatters activates this game. Players will see the screen filled with 15 skulls that hide bonus multipliers and the access to the Doom Spins. the discovered 1x, 2x and 3x symbols allow you to make another pick while 5x, 20x and Logo symbols will end the bonus. Considering all this, House of Doom is the awesome, atmospheric release with the bunch of rewarding features. 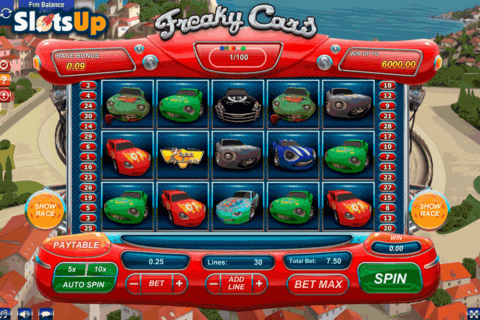 It is cool players can test it on their computers as well as add to the mobile slots real money collections. We urge you to test House of Doom in a free mode and visit one of recommended Play’n Go casinos online for further lucky plays. House of Doom Casino List - Where to play House of Doom slot for Real Money Online?